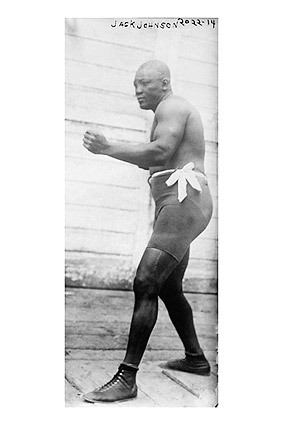 Photo of champion Boxer Jack Johnson. John Arthur ("Jack") Johnson was an American boxer. At the height of the Jim Crow era, Johnson became the first African American world heavyweight boxing champion.